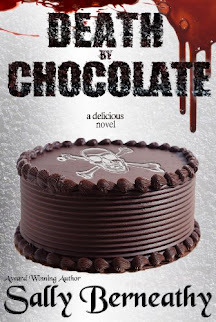 Frannie Denman has been waiting for her life to begin. After several false starts, and a couple of broken hearts, she ends up back with her mother, with whom she doesn’t get along, until her elderly uncle gets sick and Frannie goes to Emerald Isle to help manage his affairs while he’s recovering. 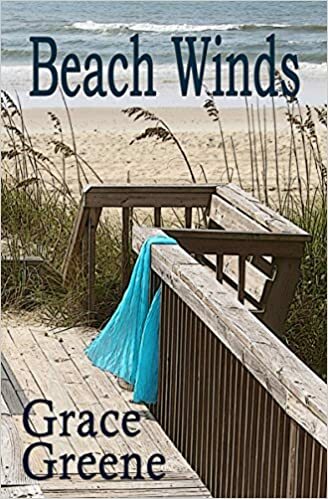 Her uncle’s oceanfront home, Captain’s Walk, is small and unpretentious, and even though Frannie isn’t a ‘beach person,’ she decides Captain’s Walk in winter is a great place to hide from her troubles. But Frannie doesn’t realize that winter is short in Emerald Isle and the beauty of the ocean and seashore can help heal anyone’s heart, especially when her uncle’s handyman is the handsome Brian Donovan. Brian has troubles of his own. He sees himself and Frannie as two damaged people who aren’t likely to equal a happy ‘whole’ but he’s intrigued by this woman of contradictions. Frannie’s mother wants her back home and Brian wants to meet the real Frannie, but Frannie wants to move forward with her life. To do that she needs questions answered. With the right information there’s a good chance Frannie will be able to affect not only a change in her life, but also a change of heart. Frannie Denman stood at the sliding doors and stared beyond the glass, the porch and the dunes. She didn’t belong here—not at the beach and not in this dreary February world. Angry crests foamed out of the churning, steel gray Atlantic and rode the waves to a cold shore swept by a frigid wind, the same wind that whipped up the sand and tossed the tall weedy dune grasses. An occasional super gust shook the house. She touched the glass as it shuddered. A lone man moved along the wooden walkway that crossed over the dunes. With slow, determined steps, he hunched forward as he fought the wind. His jacket and hooded sweatshirt were inadequate, plastered against him by nature. She watched him, wondering if he’d end up at this door, but then he descended the steps and disappeared between the houses. It was where he should’ve been all along, using the houses as a buffer, instead of taking the wind on headfirst. This was an inhospitable place and it matched her dark mood. Why was this house, and Will Denman’s life, her responsibility? She couldn’t manage her own. How was she supposed to help anyone else? “So you said before.” The woman gathered up her purse and a bulky tote bag brimming with cleaning supplies. Frannie followed her out. At the top of the stairs, she clutched the rail. With her free hand, she held her sweater closed at her throat. Cold, salty wind blew her hair across her face and stung her nose and cheeks. She wished it could also blow the self-doubt from her brain. If Uncle Will ever returned home, what would he say about Mrs. Blair being fired? She was a cleaning lady, yes, but one with a fifteen-year history. If he did come home, it wouldn’t be soon. More likely, never. Back inside, she dialed the thermostat down, leaving just enough heat to keep the pipes from freezing. Had she left anything undone? No. There wasn’t much to the place. Her uncle’s furniture had no particular style or age. Strictly thrift shop. There was no elegance, no shine, not even the customary beachy wicker or white rattan. It was a retired sailor’s home. Captain’s Walk, he’d named it. This house was small, only a ranch style, but here it was oceanfront and thus, had a grand name. This house, inside and out, was unremarkable except for the observation deck. The deck was unusual, perched halfway up the roof near the end of the house, but this time of year… Well, with a veritable gale blowing, the idea of sunning herself wasn’t appealing. It’s just a house. No interest in dolling it up, Uncle Will had told her a year ago. They’d met for the first time—one meeting out of a lifetime of opportunities—and only then because he’d called and asked her to come see him. She’d visited him again after that and had meant to return sooner, but she hadn’t, and now he wasn’t here. Magnets secured bits of scribbled paper to the front of the refrigerator. One magnet listed local emergency numbers. A smaller green magnet had a bank name and number. Another advertised a pizza delivery place. There it was. Brian Donovan. His name and phone number were written in large block letters on a neatly torn square of paper. She disliked talking to strangers, even over the phone, but she got lucky this time because the voicemail answered. The lights were off. She gave a last tug on the sliding door to make sure it was locked. Now she could be on her way. It was winter in Raleigh, too, of course, and not exactly balmy, but without the deadly cold ocean and its bitter winds. She slipped on her coat, wrapped the scarf around her neck twice, and picked up her purse. The parking area was below and behind the house on the street side. Her car and her uncle’s old green van were the only vehicles. It was freezing inside the car, but the leather seat would warm up quickly. She backed out onto a deserted Emerald Drive. She’d just hit cruising speed when the dashboard lit up and rang. Laurel Denman, it displayed. Mother. Frannie let it ring, determined to ignore it, half-expecting her mother to emerge from the caller ID screen like some half-formed specter of guilt and frustration. There should be tender feelings between mother and daughter, shouldn’t there? Like mother, like daughter—maybe their capacity to care about each other had died with her father. Almost three hours later, and after two more calls from her mother, Frannie drove up the long, curving, blackened asphalt driveway. The tall, straight pines, the bare, sculptured branches of the crepe myrtles growing in the perfectly landscaped yard, always welcomed her, but after these last few years she’d realized that was all it was—an empty offer. She braked to a stop in front of the house. Now, coming home was more a reminder of personal failure. She opened the front door with as much stealth as she could. It wasn’t enough. Her mother stood in the wide opening between the living and dining rooms. Her honey blond hair was precisely groomed. Petite and curvy, she was the opposite of her slender, brown-haired daughter. Frannie’s best feature was her dark blue eyes, like her dad’s. Dad had called them ‘the Denman eyes.’ When she fastened those eyes upon Laurel, she knew it made her mother uncomfortable. Laurel stared back. The firm set of her lips, and her hands held artfully in front of her waist, showed her anger. Unhappy words were imminent. “Don’t do this right now.” Frannie shook her head and tucked a lock of her fine, flyaway hair behind her ear. Her mother came to stand close to her. She smoothed the remaining strands of hair away from her daughter’s cheek. She stared beyond her mother. Her dad’s chair still sat in front of the fireplace, empty for almost fifteen years. The worn chair was lost amid a roomful of newer, more expensive furnishings. In a low voice, Laurel said, “I’m trying to prevent another disastrous choice on your part. Joel’s a fine young man.” She mumbled a few more words. Angry words tumbled in her brain, wrestling for an exit, but Frannie set her jaw and refused to allow them out. She moved to continue up the stairs, but Laurel stepped closer and rested her hand on her daughter’s arm. Cold, but not heartless. That about summed her up. Frannie hurried upstairs, leaving her mother standing there, her hand suspended mid-air. She ran to her room. Her lifelong room. On her dresser, there was no dust but only the usual items, carefully replaced in the exact same spots each time Hannah came through with her feather duster, the lamb’s wool duster and her anti-static cloth. A photo of daddy and little Frannie was protected in its glittering crystal frame. The one next to it showed them in the garden. She was maybe two or three? The sun shone on them, both with their brown hair and deep blue eyes and big, happy smiles. Then the trio, her dad, her mother and herself. She’d been almost four, she thought. Back then things had been better between them. She turned that frame to rest face down on the dresser. Despite appearances, and apparently despite the opinion of some, she wasn’t an emotional ice cube. The cold was her protection, her armor. Without the armor she was no more than a shy, awkward, almost thirty-one-year-old woman who’d never been able to make a go of independence. She knew she was attractive. People told her so and she could see it with her own eyes, but that was on the outside. Inside was a different story. She was good at hiding the mess inside—could almost make it cease to exist—at least until someone reminded her, someone like her darling mother. The light from the crystal chandelier reflected in the high gloss of the china. Frannie spread the linen napkin across her lap. To her right, Joel sipped his wine and smiled. Rather, he smiled at his plate. His short brown hair was unremarkable, but his eyes were sweet, open and honest. He was attractive enough and he was kind, but there was no spark. No electricity. She’d been in love before and though it had ended badly, she wasn’t willing to settle for less, even if it meant she’d never be in love again. She shouldn’t have agreed to this. The small group, with only Joel and his father, was too intimate. They were nice people, but under the circumstances, it felt like a lie. Sapphire. In reflex she looked at the ring, deep blue and flashing with light. She refrained from reaching up to touch the drop earrings. “It was and there were, but it made an impression. Most of our friends got a car. You got the car and the crown jewels.” He laughed gently. She didn’t want to go back there, not back to that dear memory while sitting here with these people. Father, beaming, happy to show his love and pride in her—she felt again the warmth of his hands as he’d fastened the necklace. Mother had been far from pleased with the gift. She glanced up, sensing Laurel’s eyes upon her, staring. Involuntarily, Frannie touched the pendant. The platinum setting was cool against her skin; it reminded her to cool down. Joel’s father spoke to Laurel and her mother looked away. From Mother, of course. Who else would know or care? “Sorry. That was rude.” She took a deep breath. He really was a nice guy. Too nice. It was stressful being around someone who could be so easily hurt or cowed. She felt compelled to smooth it over. Joel leaned in closer. She tried to relax, but then caught the approving look from her mother. She sat back and glared at Laurel, ignoring Joel’s look of surprise. That was one of the big problems with Joel. Always correct. Always courteous. Not a bad guy, and maybe someone she could spend an evening with under other circumstances, but a lifetime? Not a chance. Laurel whispered to Joel’s father and both looked their way. The beaming expressions they bestowed upon her and Joel were blatant. Anger flooded her. The noise of it roared in her ears and her hands trembled. Frannie folded her napkin carefully. “It’s been lovely, but I must go.” She pushed back the chair and stood abruptly, pre-empting Joel’s move to assist her. Her mother’s expression of benevolence didn’t change, but it hardened, and her eyes grew large. Laurel could be counted on not to make a scene in front of her guests. Frannie didn’t want a diva scene either, but she didn’t have the least problem with a dramatic exit. Within minutes Frannie heard Laurel’s soft footfalls on the thick carpet in the hall. “I tried. I really did, but you overplayed it.” Frannie tossed the last, hastily grabbed items, into her duffle bag. Time apart would be good for them both. “I’m sure you’ll do a fine job.” She yanked the zipper with finality. Frannie bit her lip. She wanted to scream that it wasn’t about close relationships or blood ties. It was about toxic love. However, some words shouldn’t be spoken aloud no matter what the provocation, no matter how their sharp edges tore her up inside. “You aren’t going like that?” Laurel looked her up and down. In this case, Mother was right. She was still in her party dress and heels. Frannie touched the necklace again and ignored the last question. She set the duffel bag down near the door, as if that had been her plan all along. Laurel gave her a last, icy look. She slapped the door lintel, but left without another word. Frannie waited until her mother was out of sight and then grabbed the duffel bag. She didn’t need her mother or anyone else telling her what to do. She was almost thirty-one, for heaven’s sake, and getting older by the minute. She stopped in the kitchen on her way out, snagged a couple of tins of tea and a steeper, dropping them into one of the shopping bags from the pantry. A maid was cleaning the kitchen and didn’t look up. A new maid. Frannie didn’t recognize her. It was a long dark road from here to there. From beginning to destination, it was a different trip, a changed landscape at night. The miles raced away beneath her tires, to the rhythm of highway lights or the headlights and red taillights of other travelers. They were her companions. All going somewhere, but separately. Together and forever separate. Alone. Alone and ungrateful. She had so much. A comfortable life. No financial worries. Yet she felt always alone, trapped, marooned on her own desolate, emotional island. Keeping the jewelry on was silly and careless. It was jewelry, not her dad, but it felt a little like her dad was here with her. She’d tried to break away before and failed. Maybe this time she would succeed. It felt possible as she was speeding down the dark road. Many people had worse losses and greater troubles. She should be able to overcome hers, unless Mother was right and the flaw was inside her, along for the ride no matter how far she fled. Tomorrow she’d drive over to Morehead City to visit her uncle. When the stroke happened, the attorney had contacted her, and she’d gone to the hospital right away and then again just before and after he moved to the rehab. She blamed the distance for not visiting more often, but honestly, she hadn’t been prepared to see him so weak, so changed by the stroke. Tonight there were no stars, no moon. She drove over the bridge to Emerald Drive. It was a long, lonely road in the winter, especially at night. She slowed way down to pick out her uncle’s driveway. A blanket of dark covered all, and when she braked, the wind rocked her car. Her headlights cast a glow ahead, into the parking area behind and below the house, until she turned the lights off. She shivered. The house blocked the worst of the onshore wind, but the wooden stairs leading up to the side door would be awkward in the dark, and in her heels. She put a finger through the key ring and closed her fist around it. With her duffel bag and purse hanging on one shoulder, she clung to the handrail. Finally inside, she flipped on the lights, dropped her bags on the chair, stripped off her gloves, and then pumped up the thermostat. She’d keep the coat on for a while. She’d left this sad place only a few hours ago. It felt foreign here, alone and at night. She could pick up that duffle bag and go back down to her car. She could stay in a hotel. That’s where sojourners were supposed to tuck themselves in for the night, right? Where there was a comfy bed and uniformed housekeeping and no clutter of personal objects? In the morning, she could behave like a reasonable adult and go back home. She ditched her coat and threw it across the sofa. Cold or not, removing it put one more step between her and retreat. Books were stacked here and there. Luckily, the cable TV would be working for another day or two. Her uncle wasn’t much for knick-knacks or bric-a-brac. A few framed family photos hung on the wall. One was of her dad as a boy with his Uncle Will. Another showed Will and his brother and sister in black and white, including starched white shirts for the boys and a starched white dress for the girl. He’d pointed them out to her, telling her about his brother, Marshall, and his sister, Penny. All gone. Long gone. Most of Will Denman’s literary taste ran to non-fiction. Navy stuff, naval history. Books lined the top of his roll top desk with heavy metal bookends to hold them in place. She slid one out noting the dust that marked its place. She thumbed through it and a slip of paper fell out. The scrap of notebook paper was long and narrow, neatly torn from a larger piece. A hand-written note was penciled on it. She squinted to read the words. “And he said, I called by reason of mine affliction unto God, And He answered me; Out of the belly of Hell cried I, And Thou heardest my voice.” Jonah 2, verse 2. Well, that was grim. She looked around the room. Not exactly in the belly of hell, thank goodness. Frannie folded the slip of paper and slipped it back into the book—a book about the USS North Carolina. The verse about Jonah and the whale tucked into a book about a battleship? Really? Was it intended or a coincidence? She smiled, wishing she could ask her uncle whether it was a joke or a confession. There were three bedrooms. Two had beds. Frannie pulled the coverlet back in the guest room and examined the sheets. They looked clean. The idea of sleeping here felt strange, but not as odd as sleeping in her uncle’s bed, as if he were already past tense. That felt rude. Frannie pulled the drapes across the sliding doors and closed the window blinds. She got her pajamas and robe from the duffel bag and told herself this was no different from a hotel room, but it was different. She undid the catch of the necklace and removed the earrings. The sapphires glittered on her palm. She really was foolish. The dresser in this small room had some of Will’s overflow clothing. She found a pair of white cotton socks and carefully dropped the earrings and necklace into one of them. She added the ring, too. She twisted the sock and folded it back over itself, then hid it between the mattress and box spring. She left the lights burning in the living room and the bedroom door cracked open. She huddled under the blanket and bedspread. In the silence, the house rattled and the ocean boomed. She buried her face in the pillow and tried to shut out images of blown-in windows and collapsing walls. Was there a hurricane she hadn’t heard about? This was wrong time of year for that, but not for winter storms. Frannie checked the doors and locks one last time, then climbed into bed. She held one pillow down over her ears and pulled the blankets up so far they came untucked, but that didn’t matter because she was curled up into as small as form as she could make herself. She awoke at dawn, groggy and bleary-eyed. She eased herself upright and stretched. The blankets had fallen to the floor during the night. Her pajamas were twisted and wrinkled. She pulled on her robe and headed toward the kitchen. She fit the tea holder into the steeper as the water heated. As she waited, she noticed the silence. The bluster and buffeting had ceased. The house no longer shook. She shuffled over to the front window and grabbed the drawstrings. She tugged and the blinds opened. Dawn. Puffs of clouds and a lighter shade of dark mixed with threads of morning color near the horizon. She went to the sliding doors and pushed the drapes aside. A group of large seabirds was flying by. They skimmed the water, diving for breakfast. She fumbled the lock open and slid the glass door wide. The air, fresh from the Atlantic, rushed in, cool with a promise of better to come. The rough wood of the handrail had been a sponge for the night and the deck boards were cold and damp. Sand peppered the rails and planks. She walked along the wooden crossover, over the dunes and wild grasses, to its end where the public beach began. A bench was built into the crossover near the stairs to the beach, but the seat would be too chilly and damp this morning. It would be better when spring arrived. The rough waves no longer sounded angry, but natural, as if saying Yes, we’re loud. We’re the ocean. Facing the east end of the strand, waiting for the full sunrise, the chill crept up through her bare feet. When the sun broke the horizon, it highlighted walkers coming her way. She pulled her robe closer about her and scurried back up the crossover and into the house. The morning sun followed her inside in bright, but dusty streams that shone through the glass door and the windows. In this light, the furnishings, though old and plain, gained a little dignity, and then her cell phone rang. She ‘paused to think’ but couldn’t come up with anything helpful to say, so she didn’t. Frannie drew in a breath and held it for a moment attempting to reset the day. Beyond the sliding doors, the morning, serene and looking almost mystical as light picked its way through the water and the morning mist, called to her. She clicked off the phone and went back to the kitchen to enjoy her tea. Mother. She certainly knew how to take the shine from the morning, but this morning, Mother Nature had the better hand. Showered and dressed, Frannie boiled an egg and steeped more tea. She was more than a little apprehensive about going to see Uncle Will. As she settled at the table to enjoy her little breakfast, she felt a noise more than heard it. It was only a slight vibration, but on this quiet morning, it was enough to get her attention. She threw her coat over her shoulders and stepped out onto the porch. She bypassed the white rockers and looked over the end of the porch. A man was down below, kneeling by the lattice at the end of the porch. He was wearing a hooded sweatshirt under a leather jacket, but the hood was pushed back to show sandy-colored hair. That was all she could see clearly from above. The jacket and sweatshirt rang a bell. He pulled and pushed against the latticework and, apparently satisfied, grabbed his tool bag. He started to rise, but then put one hand against the side of the house. It seemed to take him a while to stand. He was tall and moved stiffly. The timbre of his voice was calm and sure, but his blue eyes grabbed her. She sighed. Blue eyes and a nice smile had led her astray before. Not again. Never again. No third strikes for her. “Thank you, Mr. Donovan.” She nodded and moved out of view. Horror Within: 8 Book Boxed Set - $0.99! A Montana Born Christmas - $0.99! Your Magic Touch by Kathy Carmichael - $0.99! Chronicler of the Undead by Mainak Dhar - $0.99! Something Good by Darlene Deluca - AWARD WINNING!